Take a look at the best fan photos from Denver in Week 12, as fans brought the black and gold to the Steelers Nation Unite Road Warrior Party and to game day at Broncos Stadium at Mile High. 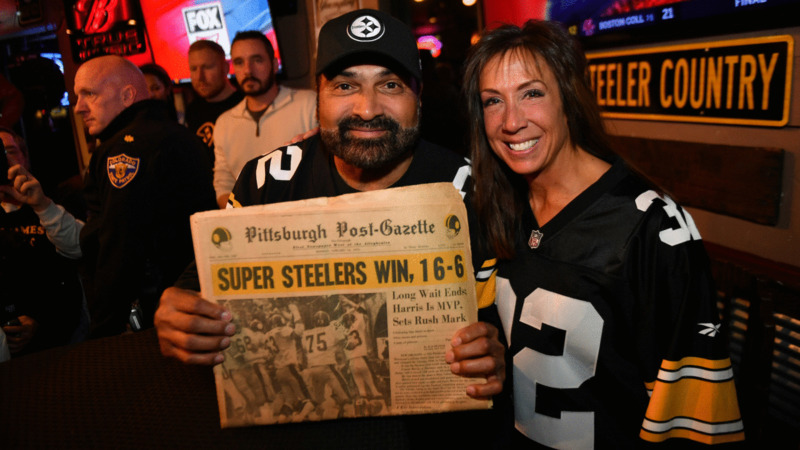 Steelers fans gathered at Tequila Cowboy on the North Shore for a Steelers Nation Unite Pregame Party the night before the team took on the Patriots in Week 15. Steelers fans represented their team in Oakland as the team took on the Raiders in Week 14. Check out some of the best fan photos from game day and Steelers Nation Unite experiences as the team took on the Chargers in Week 13 at Heinz Field. Take a look at photos from game day as Steelers fans packed TIAA Bank Stadium for a Week 11 matchup with the Jaguars.